Hey everyone! Laura was lucky enough to attend the Artisan Vegan Cheese book release party this weekend in San Francisco and she was floored by the wonderful food and the amazing cookbook! Yep, you read the book cover right. This book is an Artisan Vegan Cheese COOKBOOK. Sit down. 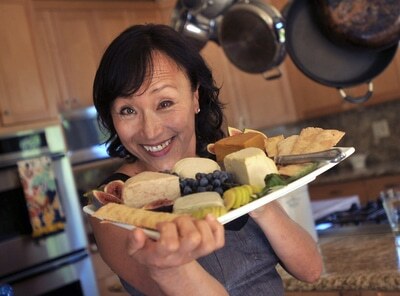 The incredible Miyoko Schinner has just released this jaw dropping selection of recipes and I am beyond inspired, intrigued, and invigorated to get into some homemade vegan cheese making. The party was posh, elegant, and filled with trays a lot like the one Miyoko is posing with here. It tasted as impressive as it looks and I can’t even say I had a favorite because I loved everything so much. There were some passed hot hors d’ouvres that were mind blowing as well. Basically it was all so delicious that I can’t describe it without getting dizzy. I’m sure many of you saw these recipes featured in the recent Veg News cheese issue and felt the thrill and power of the homemade cheese possibilities course through your veins. The book, which I have read but not yet cooked from, is beyond exciting. The ingredients aren’t too strange and for the majority of them she offers a homemade version. The only items that may be hard to find are agar agar, xanthan gum, and carrageenan, all of which for our author provides online marketplaces where you can score said items. I’m truly excited to get my vegan cheese making on with hopes to prepare a platter for Thanksgiving. If you love to experiment in the kitchen, this book is a must have. 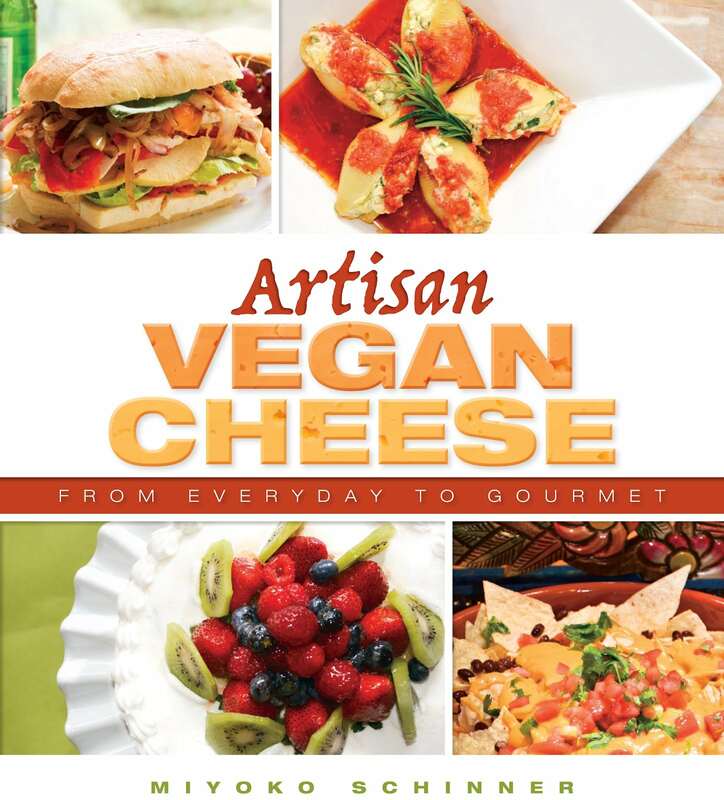 If you need to convince a loved one that there is life after cheese, this book is a must have. If you are a vegan who likes impressing omnivores with surprisingly vegan cuisine, this book is a must have. If you are a person who likes delicious things and you are breathing, this book is a must have! Excitingly, Miyoko will also be featured on the PBS show Vegan Mashup so keep your eyes open for more of her.